Definition at line 588 of file llinventorymodel.h. Definition at line 591 of file llinventorymodel.h. Definition at line 592 of file llinventorymodel.h. Definition at line 2850 of file llinventorymodel.cpp. 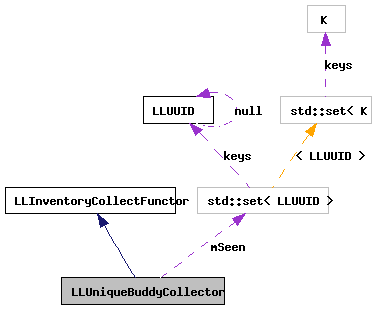 References LLAssetType::AT_CALLINGCARD, gAgent, LLInventoryItem::getCreatorUUID(), LLAgent::getID(), LLInventoryObject::getType(), mSeen, and LLUUID::notNull(). Definition at line 597 of file llinventorymodel.h.